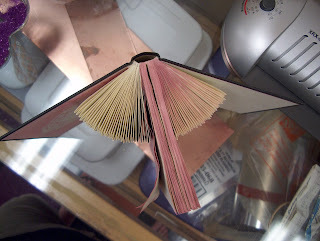 Here's a simpler way of altering I simply folded the pages and sprayed them with distress inks. I included a top view so you could get a better feel for what the book looks like. 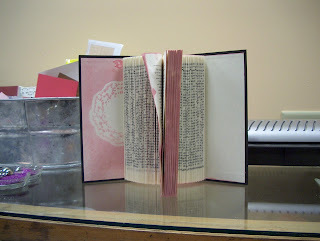 I plan to drill through the folded pages and create an alternative binding at some point in the future.